Coming off the back of his 15th Grand Slam triumph and seventh Australian Open victory, it was no surprise to see Novak Djokovic in good spirits at his post-match press conference. 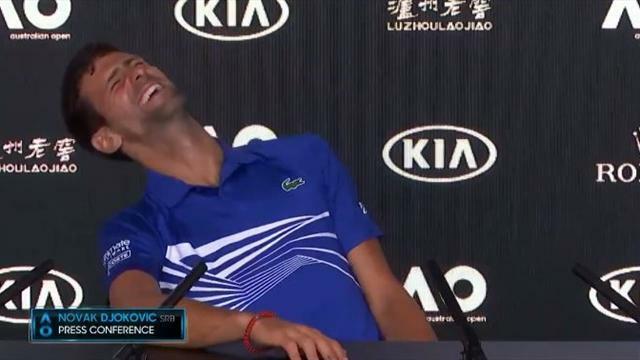 When fielding questions after his straight-sets victory against Rafael Nadal, Djokovic could not help but mimic one of the reporters, leaving the press in hysterics. “Not too bad,” said Djokovic in an Italian accident. “Cannot complain,” replied the reporter, before Djokovic apologised with a smile on his face.